New Jersey’s been the locus of online-gambling news in recent weeks, and on top of this week’s debut of the state’s freshly debuted online gambling sites comes a new initiative from New Jersey State Senator Ray Lesniak. Senator Lesniak wants to open the Garden State up to international operators who would like to base an operation within the US, from there to market services to international (outside the US) online players only. There are several marketing points behind the push by Lesniak, who veteran readers will remember as the pro-casino champion of the New Jersey legislative efforts which finally saw the state authorize online play earlier this year, after two previous bills authored by Lesniak and other state legislators died on Governor Chris Christie’s desk. First, a pro-gambling bill which doesn’t actually authorize any more online action by New Jersey players (or those in other US states) is one that can be termed free of social conscience. Many countries have allowed online gambling firms to set up shop, under the condition that the services be offered only to gamblers in other jurisdictions, and no to players in the country where the site or sites are based. (The Australia-based Merge Network, which for many years forbade Aussies to play on its network sites, is just one such example.) For New Jersey, therefore, with budget deficits galore and a pro-gambling tradition already in place, a service such as this could be something of a freeroll. Second, the regulatory body for international sites, as envisioned by Lesniak, would offer New Jersey’s decades-old reputation of being able to oversee its land-based casinos. That would be presented as being an order of magnitude more reputable than many of the banana-republic seals of approval issued on many lesser sites; Curacao and Malta being two examples of supposed regulators who cash checks from online sites but don’t actually do much regulating. However, it’s not Curacao or Malta or even Kahnawake that’s in Lesniak’s sights: it’s the major players of online regulation, locales such as Gibraltar and the Isle of Man. Third, if one reads between the lines, is the possible carrot for online sites to establish a home in the States, and via ongoing regulatory oversight prove their worthiness, with an eye toward future expansion in other US states. If New Jersey’s very early talks of entering compacts with other states were to become reality, then it’s possible that this would provide a way for other companies to join the ranks of the land-based casinos already established in New Jersey. Senator Lesniak’s bill would authorize the Division of Gaming Enforcement to provide licenses to companies that offer Internet gaming to other countries where it is legal, allowing overseas customers, including casinos, to place wagers on casino games via the Internet. The service would be restricted to foreign countries and regulatory agreements would have to be implemented between New Jersey and the foreign jurisdiction. The Division of Gaming Enforcement shall promulgate regulations to ensure that each person licensed to provide restricted foreign Internet wagering meets standards for Internet wagering equivalent to those applicable to Atlantic City casinos regulated by the division. Lesniak’s proposal calls for the sites and related servers to be physically housed in New Jersey. 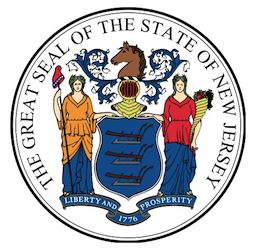 Lesniak also trotted out an economic adviser for the press conference, who offered claims that such an international regulatory service, if passed and implemented by the state, could generate between 11,000 and 16,000 jobs and proved between $5 billion and $8 billion in tax revenue for the state. It appears that Gibraltar, which generates something close to a third of its GNP from the Euro sites which have collected there, is the model that Lesniak hopes not only to imitate, but to replace. Is it a go? It may be too much, too fast, particularly in a state where Gov. Chris Christie’s national political aspirations color every state-level political debate. Should Christie end up in Washington D.C., New Jersey’s Governor’s house would likely shift to the Democrats, as the state is one of the most liberal in all of the US. But if Christie stays in New Jersey, then such a catering and open expansion of another online gambling front is somewhat less likely, since Christie still has to pay lip service to the right-wing anti-gambling forces that predominate the Republican party. New Jersey still has to prove that the current debut of domestic online gambling services goes according to plan. The state might need to catch its collective breath before pushing forward with this idea.